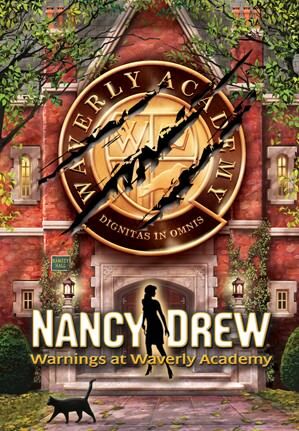 Home > Her Interactive, Inc.
Found one file extension association related to Nancy Drew: Warnings at Waverly Academy and 1 file format developed specifically for use with Nancy Drew: Warnings at Waverly Academy. Enroll in a School Plagued by Suspicions and Lies! You, as Nancy Drew, are undercover at a prestigious girls’ boarding school to discover the culprit behind threatening notes and dangerous accidents aimed at its valedictorian candidates! Is there a secret someone wants to protect or are the girls playing games to scare away the competition – permanently? Solve the mystery before the threats turn deadly and you’re expelled from Nancy Drew: Warnings at Waverly Academy! Please Note: The physical version of this game is sold out and has been officially retired, however, the digital download version is still available. If you need more information please contact the developers of Nancy Drew: Warnings at Waverly Academy (Her Interactive, Inc.), or check out their product website.